The famous Grateful Dead lyric is, “What a long, strange trip it’s been.” While those words were describing the drug-fueled events of the 1960s, they could easily be attributed to the evolution of the cell phone. 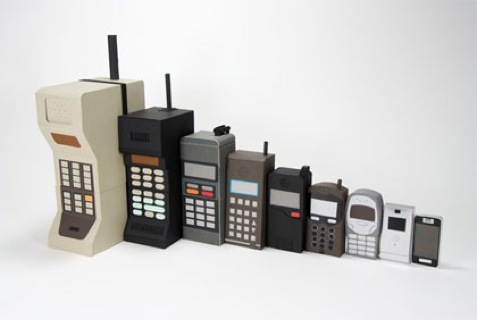 For one, the size of cell phones has changed dramatically with each generation. They were first manufactured in a size similar to a brick (think Zack Morris in Saved by the Bell) and then shrunk to the scale of a cracker. And then there is a cell phone’s capability—at their inception they could only make static-filled phone calls, while today we use them for anything but calls. However, the advancements of cell phones themselves are only half the story. Their popularity helped revolutionize data and communication networks; like the latest satellite technology from wildbluedeals and wireless communications. So from 1G to 4G, here is a recount of the trip travelled thus far, and where the journey may be taking us next. In the 1980s, man made the first cell phone network for mass consumers, and it was fairly decent. The first generation of wireless telephony was completely analog based, unlike its progeny that runs on digital systems. In the U.S., cell phones operated on the AMPS (Advanced Mobile Phone System) network (TACS and NMT in Europe), which basically modulated calls to a higher frequency around 150MHz or more. Hardly what one would call advanced; it was as if your cell phone was just as powerful as your ham radio. Meanwhile, the phones themselves were bulky and had nearly no data capability whatsoever. That meant no texting, no cameras and no apps. Teenyboppers in the 80s sure had it rough. The digital age finally arrived in the second generation. In the early 1990s, digital TDMA-based systems were introduced—GSM first in Europe and D-AMPS in the U.S. With digital technology, voice quality improved, security was stronger and power was increased, while equipment became less expensive and more refined (i.e. phones that could really be considered hand-held). 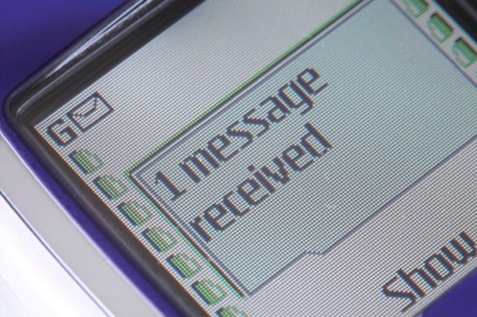 Messaging systems also got their big break in 2G with the introduction of short messaging service (SMS). The text generation was beginning. Things started to snowball in cellular technology as not one, but two additional generations quickly hit the scenes in the late 90s. Data transfer became grew in importance with the release of General Packet Radio Service (GPRS) networks, mainly because cell phones could now actually transfer it. With transfer rates of 56-115 kilobytes 2.5G devices started featuring WAP (Wireless Application Protocol) and MMS (Multimedia Messaging) services, which meant Internet capability was here. So, why the 2.5 and 2.75 designations? The United Nations International Telecommunications Union (ITU), which set worldwide telecommunications standards, had put 3G specifications into place as new cellular technology was just being released. That put EDGE (Enhanced Data rates for GSM Evolution), which was better than GPRS but didn’t meet all of the ITU’s standards, in the precarious 2.75G category. The turn of the century saw a completely new generation of wireless technology realized. Third generation networks CDMA2000 and UMTS used entirely different radio frequencies than that of 2G, which had 3G cell phones boasting data transfer rates up to 2Mbps. That gave users the power to exchange and capture images and video, watch TV on the go and have full Internet access to surf the Web and download music. It also gave people the ability to avoid interacting with others in person, too. 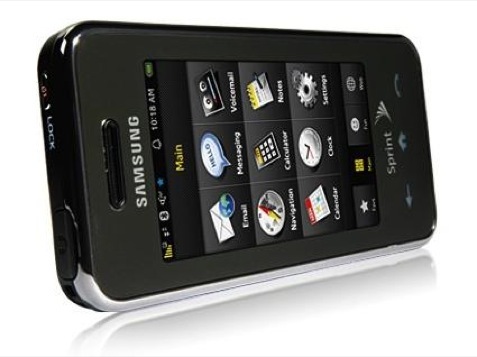 In this generation cell phones not only became more powerful, but also lighter and thinner with colorful and interactive displays. Subsequent network systems—EV-DO Revision A and HSDPA, for example—increased data capability substantially to 14Mbps and beyond, garnering 3.5G and 3.75G labels. It appears generations can’t keep up with the technology. Ironically, many wireless carriers used the 2.75G EDGE network to hold them over until 3G grew in demand, and less in cost. To add one more pop culture reference into the mix: where we’re going, we don’t need roads (Back to the Future). That is the promise of 4G cell phones with practically few limits in what they can do. With the popularity of apps for smartphones like the iPhone and Android, data is officially king for 4G networks, which are still in their infancy. Everything in 4G is, and will be, geared towards the Internet. Cell stations for 4G are even eliminating routing equipment, becoming smaller and more efficient, as phone calls rely solely on VoIP. The current 4G networks that are in place, such as WiMax and LTE, boast speeds 10x faster than 3G, but eventually 4G users will see data transfer rates as high a 100Mbps, and even 1Gbps – that out performs broadband cable connections. Whether the fourth generation will see 4.5 and 4.75 designations is unknown, but what is certain is cell phones will be moving a heck of a lot faster. As the generations pass, cell phones and their networks are quickly moving away from telephony and more towards computing. While the first generation enjoyed the novelty of making a phone call from a car, the current generation wants their phones to help them decide which restaurant nearby serves the best sushi. We can only guess what will come for the cell phone generations of the future. So… Where does this leave someone who just wants a damn PHONE without the liability of GPS tracking attached? Some of us don’t want integration of cameras, music players, textmessaging, and all that other junk, we just want a portable telephone at an affordable rate. MalikTous – That’s exactly what I am looking for too!